“Ireland’s tribute to Queen Victoria” | Come Here To Me! « The less dramatic bombing of O’Connell’s tomb, June 1952. 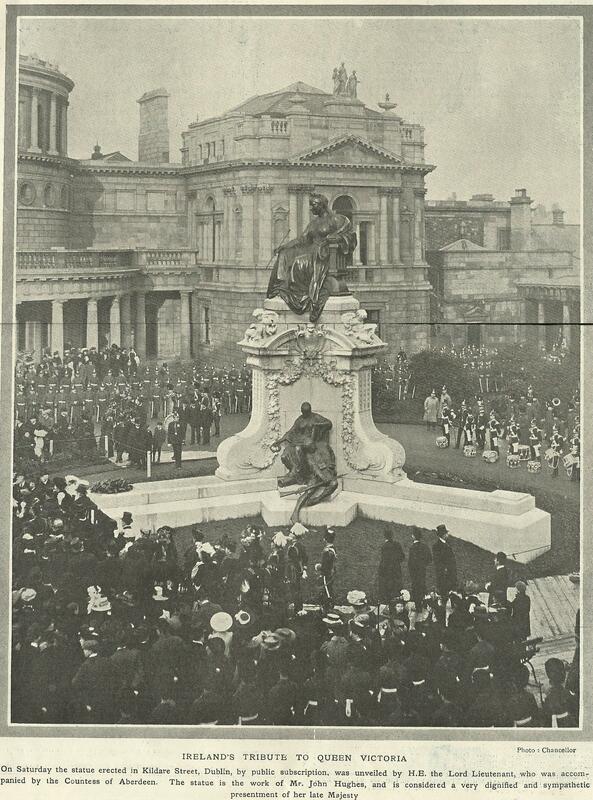 I picked this great image up recently, showing the unveiling of the monument to Queen Victoria inside the grounds of Leinster House in February 1908. A huge image, I had to scan it in two parts, as you can see in the centre of the scan. From ‘Black and White’, February 22nd 1908. 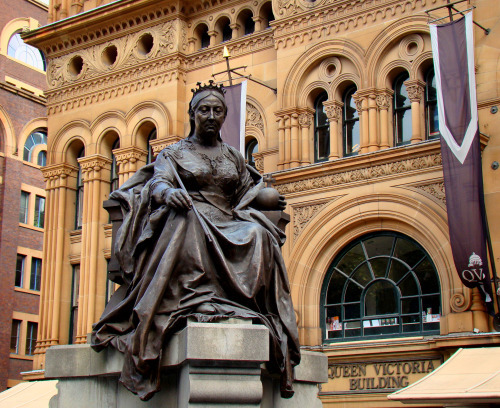 We’ve looked at this statue in some detail before, and Victoria is quite literally a ‘Moving Statue’. Removed from the grounds of the Dáil in July 1948, she spent several years in the grounds of the Royal Hospital Kilmainham, and was ultimately gifted to the people of Australia! In 1986, the statue departed Dublin Port in a container vessel bound for Australia. Following a request from the Lord Mayor of Sydney, a decision was reached to send it on a “permanent loan” basis. It funny because I dont remember the status being that big when I saw it in Sydney. The sculptures around the base are still in Ireland…one in Dublin Castle as you mention in the related article and 2 found in Leinster House, in the new LH2000 building. In return the people of Australia are sending a statue of a big smirking overpaid potato in a Louis Copleland suit which sit in the grounds of Leinster House. Her husband is still round the back under a tree by the dead zoo iirc? During Heritage Week earlier this year, I availed of the rare opportunity to get a tour of Bully’s Acre in Kilmainham. The very knowledgeable tour guide pointed out a large stack of sculpted stonework dumped next to the wall and informed us that it was the remains of the base of Victoria’s statue after they had shipped the statue to Australia. I took some photos as I remember reading the previous article on this site but I don’t have them to hand at the moment – and they’re not much to look at, in any case.